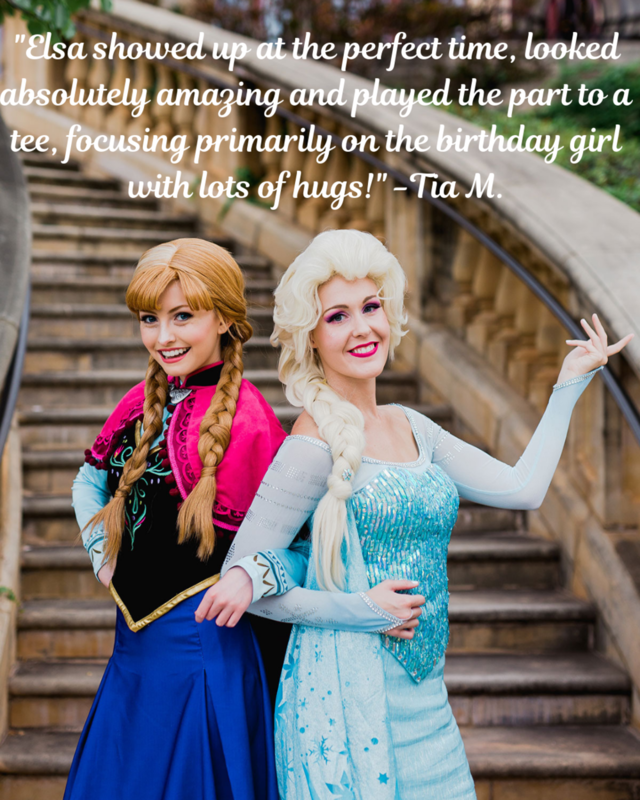 We create authentic experiences, stress free parties and magical moments! 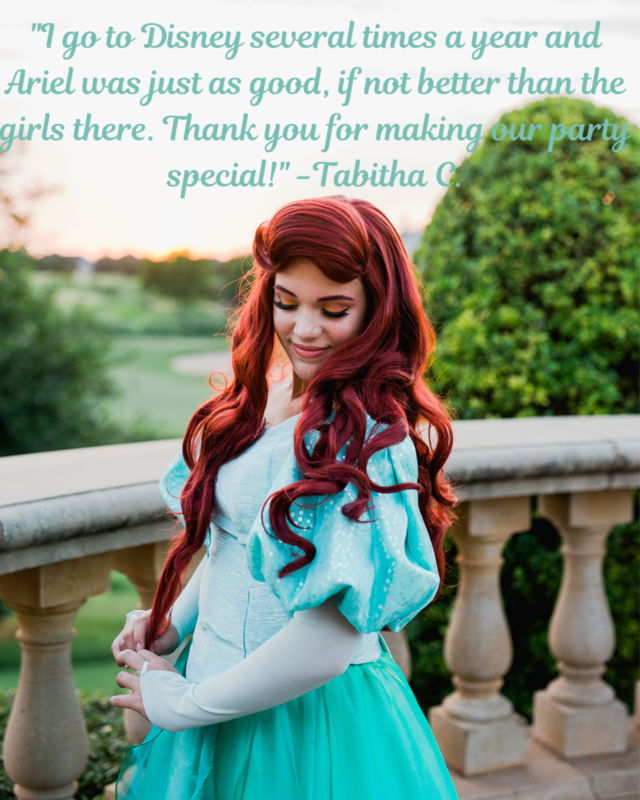 Hire A Princess, Superhero, or Character for Your Next Party or Event! Serving the Oklahoma City Metro, Edmond, Norman and Surrounding Areas Since 2014. Imagine the smile on your child's face when they open the door to see their favorite character! 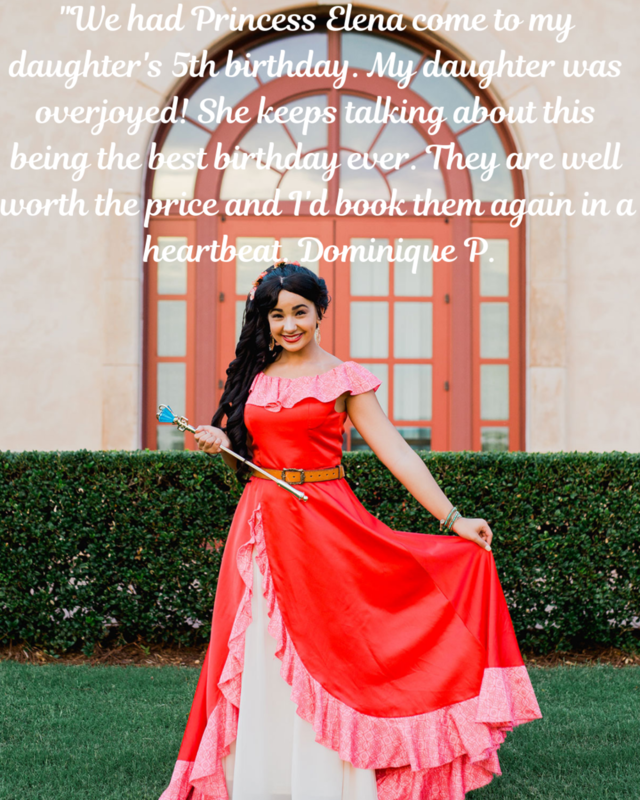 At Project Princess we not only provide beautiful characters brought to life in exquisite detail, but enchanting performances that will feel like the character stepped right out of the storybook. From start to finish, you will enjoy a magical, stress free party full of memories that your guests will never forget. Boasting over 8 years of experience in character performance and party planning, we’ve created hundreds of unforgettable memories. We guarantee the security of your party and we’ve NEVER had to cancel. No weather, illness, or Act of God will prevent us from attending your event. Each performer within the Project Princess cast goes through a rigorous training process, learning their character’s every song, mannerism, and voice inflection. From the moment they appear, our performers never break character, ensuring your guests are completely immersed in the experience. Unlike other pop-up companies, we are licensed, insured and our performers are back-ground checked, ensuring the safety of your guests at all times. 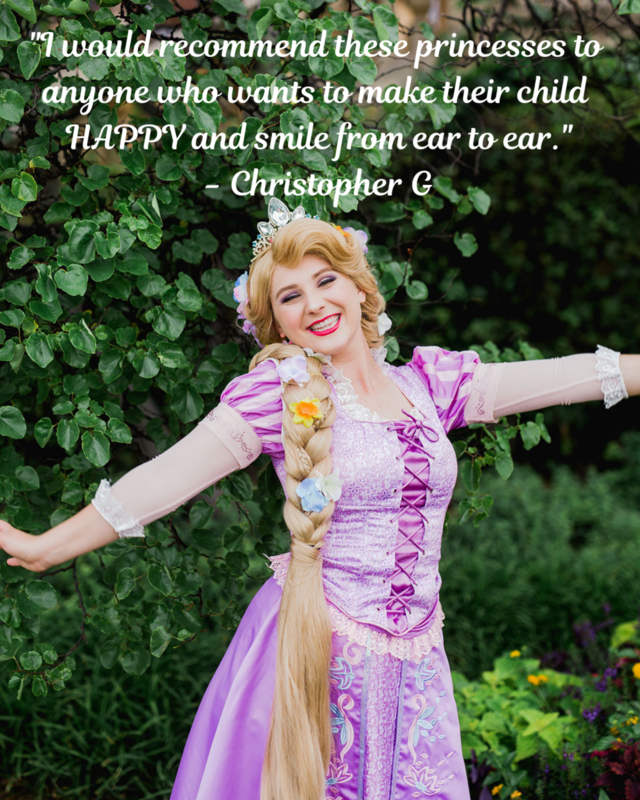 No two parties are the same; that’s why our cast members are trained to adapt to every situation and accommodate every child’s individual needs. No Halloween store costumes here! With handcrafted, couture wigs and theme park quality costumes, our attention to detail is absolutely unrivaled. 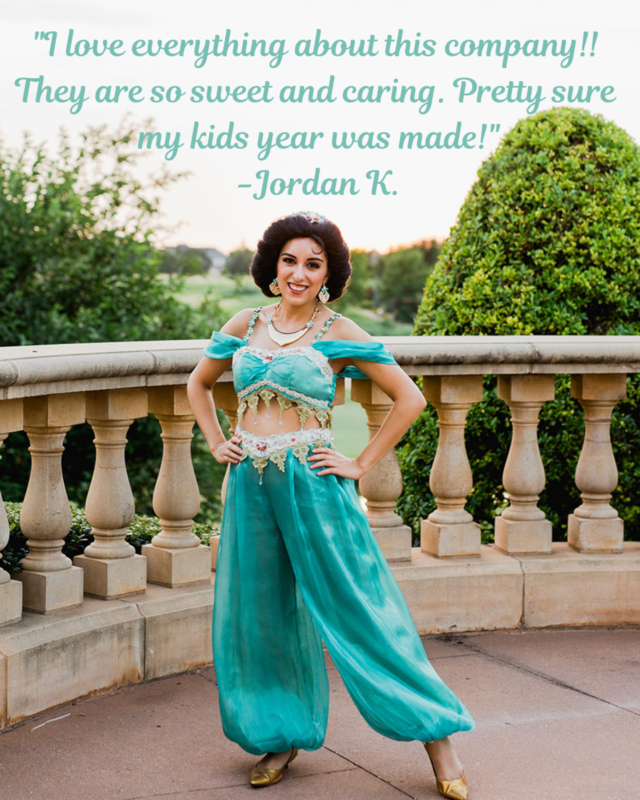 Our standards in costuming will unquestionably convince your guests that the character itself has stepped directly out of your favorite fairy tale. Each party comes with a Royal Helper to attend to your every need. From party flow, to child wrangling, cake, pictures, and clean up, your Helper ensures a smooth and stress free party from start to finish, so you can finally sit, back, relax and enjoy some cake in peace! Book a party with ease using our stream-lined booking process. No convenience, holiday, or re-scheduling fees! Simply fill out our form and leave the details to our Fairy Godmother! 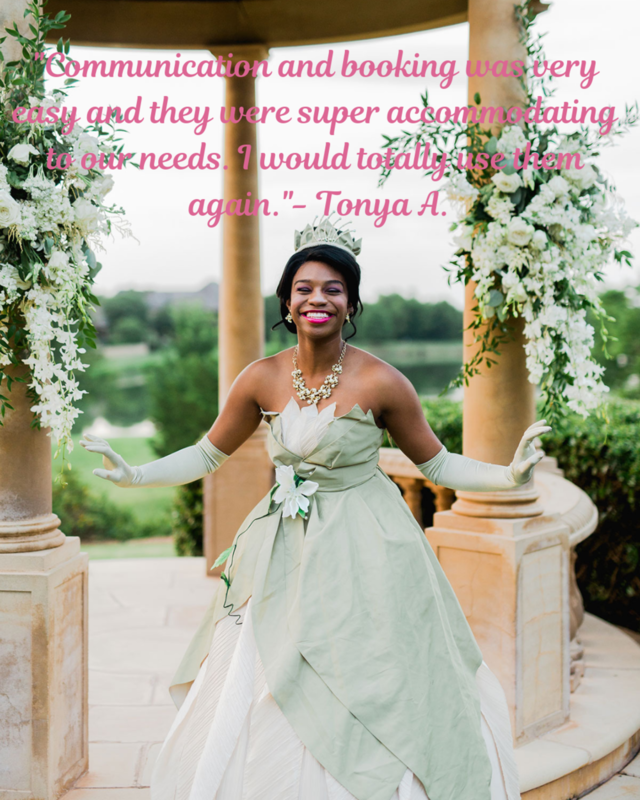 Receive a FREE Party Planning Checklist! Sign up for our newsletter and receive a FREE party planning checklist. We respect your privacy. We do not give your information out to 3rd parties. Saturdays-Sundays are subject to a 24-48 hour response time during our busiest times.